I made my friend Tara turn around during our trip to Seattle so I could get a picture of this one! The difference between Your and You are (You’re) is important! This would be so much funnier if it was correct! At the NALS Annual Education Conference and National Forum I attended in Portland this past week, I learned an unbelievable amount of information, including a name for something I see a lot — a Frankenbrief. A Frankenbrief is a brief that has had many people working on parts of it and then it is all put together into one document. There are many problems with a Frankenbrief, including the flow of the document from so many different styles of writing by different authors, consistency with defined words and capitalization, justification issues, and different font sizes. When working on a Frankenbrief, you should automatically check the big things like the defined terms and consistency issues, but it is also important to check the little things, including justification or non-justification (being consistent with author preference although I personally think it is easier to read non-justified text) for each separate paragraph and font size. There may be just a slight difference between 12 point and 13 point font, but someone who looks at a lot of typed documents (like a judge or a law clerk) can tell when there are different font sizes. If you get a judge who is a real stickler who might find some 12 point font mixed in with the 13 point font required by the Court rules, the possibility does exist that he or she would not accept your document as deficient because of the font size. It is just one more thing that makes a difference and shows the reader that you are paying attention to the details that will make their task of reading your document just a little bit easier. A real example of how important proofreading is. This was sent to me by a friend who caught it before the document left her office, but both she and her boss missed it in the first few rounds. This is a mistake I make a lot. Can you find the error? Comments Off on Cap It! As you can see from the office.microsoft.com website, Microsoft capitalizes both “P’s” in PowerPoint. Thus, being lazy and only capitalizing the first one is just plain wrong! Take the time to research proper capitalization. Companies register trade names and trademarks for a reason and it is important to be correct when using them. It shows that you are interested in quality work product. My sister shared this with me. Remind me not to take this particular walk trail! 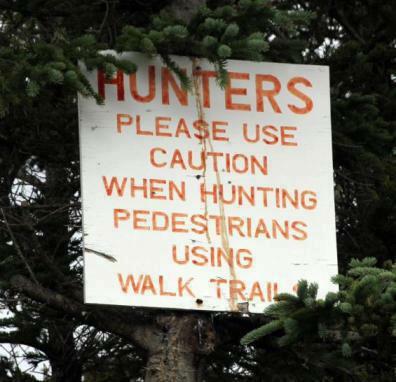 In some cases, punctuation makes ALL the difference. I was originally interested in this Justin Bieber story days ago just because I was actually there (and didn’t realize that’s what was happening). But today’s headline teaser … again … caught my attention for a different reason. Seriously local Fox News. “Loosing his lunch”? As opposed to “tighting his lunch”? Losing and Loosing are different — learn it! Quotation marks and apostrophes are important, but when proofreading, make sure the STYLE of the apostrophe and quotation marks are the same throughout the document. Either curly or straight marks are fine depending on personal preference and, of course, consistency. Choose a style and stick with it. There is a way to set your preferred style of mark in Word so that as you type, that style is used. However, when you (or the author) cuts and pastes something from another document, it may not adopt the style of your document. It is a very small thing that can make a huge difference. Global search and replace for quotation marks and then for apostrophes will fix the consistency issue easily. Speaking of quotations, one thing you should always try to do is to check the language of the quotation to make sure that what is quoted is exact. Attorneys who draft their own documents and type information from another document sometimes miss a word, miss a line, or otherwise unintentionally “adjust” a quotation. When something is quoted, you are saying to your reader that you have taken the exact language from somewhere else and are inserting that exact language into your document. It is extremely important that language that is quoted is right. If your reader (and heaven forbid it is a judge) figures out it is not an exact quote, you will lose credibility. Even worse, if an important quote is not exact, the other side will have a heyday with that and your attorney could lose the entire argument over it. Find the original document and confirm the quotation. If you can’t access the original document on your own computer system, don’t be shy about asking the author for the document. It is THAT important. If a short quotation is included, it can be set off by quotation marks within the paragraph. If, however, the quotation is more than about four lines of text, it should be offset in a separate paragraph that is indented on both sides. If the quotation is indented, do not use quotation marks. The reader should understand that the indented language is quoted so quotation marks are unnecessary. Quotations are a big part of legal matters and it is really important that they are correct. You can quote me on that!